We cashed a nice ticket playing against the Cougars in their last game vs. a strong Portland entity. We’ll turn around and cash a nice ticket with BYU this afternoon. BYU has the highest scoring offense in the country at 88.1 points per game. They can really get it going from 3 point range, which can expand their lead in a hurry. 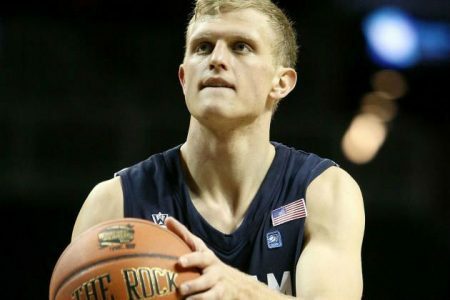 I’ve been particularly impressed with Tyler Haws, who is averaging 22 ppg. Their free throw shooting is impeccable, and where they really don’t receive enough credit is in the rebounding category. They’ll definitely dominate that aspect of the game today, leading to second chance points. Santa Clara is coming off of a nice win against Pacific. Unfortunately, a step up in class this big isn’t something they’ll be able to handle. The Broncos are averaging just 62.9 point per game, good for 281st in the nation. Santa Clara just doesn’t do anything that really stands out. They don’t have a strong strength of schedule. They don’t play very well offensively, and on the defensive side they’re average at best. They won’t be able to hang around in this one. BYU wins by double digits easily. I ended up going 65-43 for 60.19% in the month of December, including a PERFECT 4-0 day yesterday to close out the year. We’ll pick up right where we left off with 3 more WINNERS today to start 2015 out right. Get in on these TOP NOTCH SELECTIONS!